When you're covered by life insurance, you can relax and dream big. We're Honoring Traditions and Protecting Futures. 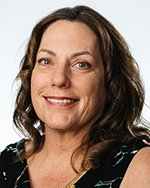 Hi, I'm Wendy Baker, a Farm Bureau Financial Services agent in Kingman, AZ. I'm here to make insurance simple for you. I'm committed to helping you prepare for the future and protect what matters most. Let me help you through all stages of your life. For your insurance needs, call (928) 757-5555. Ask the Agent: Do I Need More Insurance than What My Employer Offers?